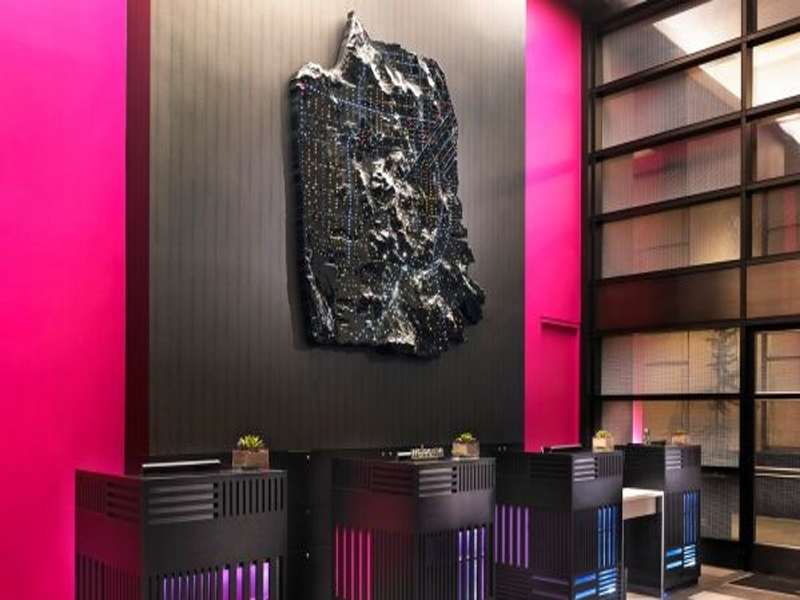 You could not have more contrasts going from the antiquity of Nob Hill and the Intercontinental Mark Hopkins, to the funked-up modernity of the W Hotel San Francisco. From the staid and sedate, to the artsy and uber cool. I have experienced my fair share of edgy and cutting edge hotels around the globe, yet this time, I didn’t know what to expect. I was about to review my sixth hotel in 8 days and the disparity between all of them was significant. Not just by brand but by continent. Yet the W Hotel was one that filled me with excitement. I wanted a change of pace. But would it deliver it? The W Hotel San Francisco lacks the grand courtyard entrance that many hotels offer for arriving guests, which may explain why my taxi dropped me at a side door (which by the way is far better for check in). But it does “own” the chamfered corner of 3rd and Howard Street from which you have pedestrian access through two giant columns that climb two storeys high. Bold and impressive. Modern. W Hotel welcome lobby at Howard Street side entrance. The down side to pavement drop offs is having no doorman to help you with luggage and I had a lot. Yet once I had negotiated this minor irritation and stepped into the lobby, it was all bells and roses…though very dark inside. And this is where I’ll pause for comment: the staff were noticeably young, brilliantly friendly, immaculately dressed, really helpful and totally put me at ease. No task was to hard for them, male or female, and every request polished off with a beaming smile and a “You’re welcome.” This was not a one-off event either. 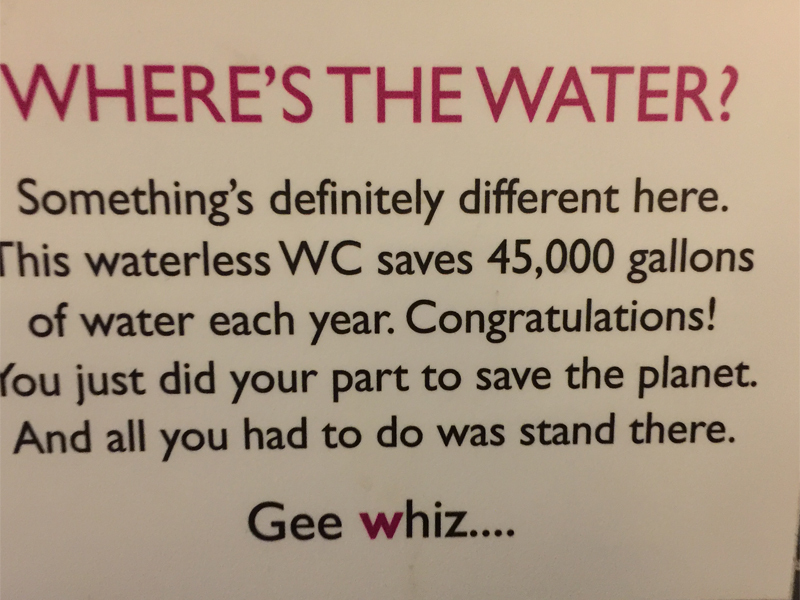 It held true for the entirety of my three-day stay at the W Hotel San Francisco. Check-in was fluid and faultless and filled with friendly banter. I grabbed my electronic card key and headed towards the elevator. 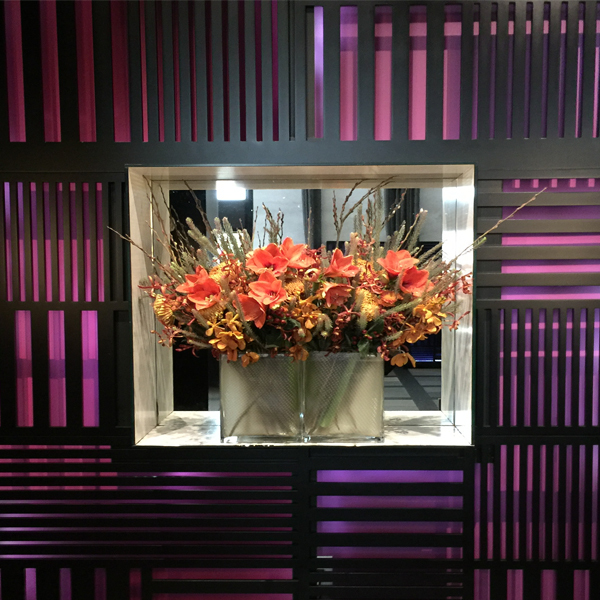 As I rounded the corner and approached the elevator, it suddenly dawned on me that I was in for an experience and not just a stay at the W Hotel. That every detail mattered. In front of me was a wall of neon purple and dark slated squares. In the middle, lay another square, this time a glass vase of blazing gold flowers. Simple execution. Massive statement. My heart beat picked up pace. I felt excited. It had tapped into my childish memories of Christmas. The colours. The presents. The huge variety of wrappings and ribbons. The gift that lay within. And then my dream world came to an abrupt halt. 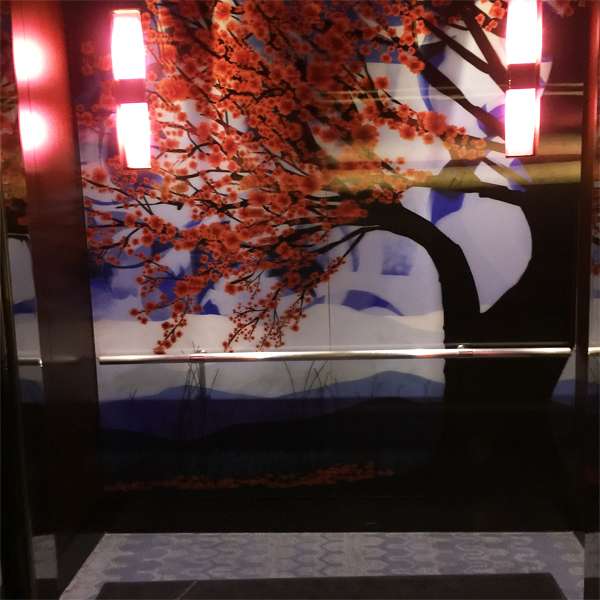 When the elevator opened on my floor, I was greeted with a completely different sight of greens and blues. It felt medicinal and industrial. Airport-like. I rubbed my eyes and did a double-take. “Huh?” I thought to myself. “What just happened? I had a long, winding walk to my hotel room which was literally called a “Spectacular Room” and this gave me ample time to wonder whether I had been let down, before I swiped my way into my room. As I pushed open the door, I did my second double-take and stopped. W HOTEL butterfly picture “Fly Away”! It didn’t make sense. Was the designer targeting new couples and first-home owners? The beige wood and green glass bench top. The laser-cut floating clouds on the head board? 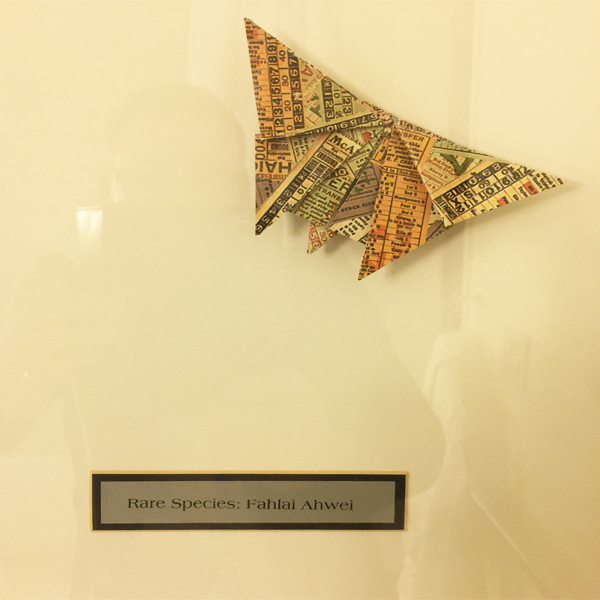 The origami butterflies tagged as “Rare Species: Fahlai Ahwei”. Cute but not funny. Like fortune cookie messages. But the pluses were there too. Clean, colourful, modern. Definitely spacious. You could hold a party in the bathroom it was so large! And it came with Bliss Spa amenities and their own W Signature Waffle Spa Robes with Terry Lining. 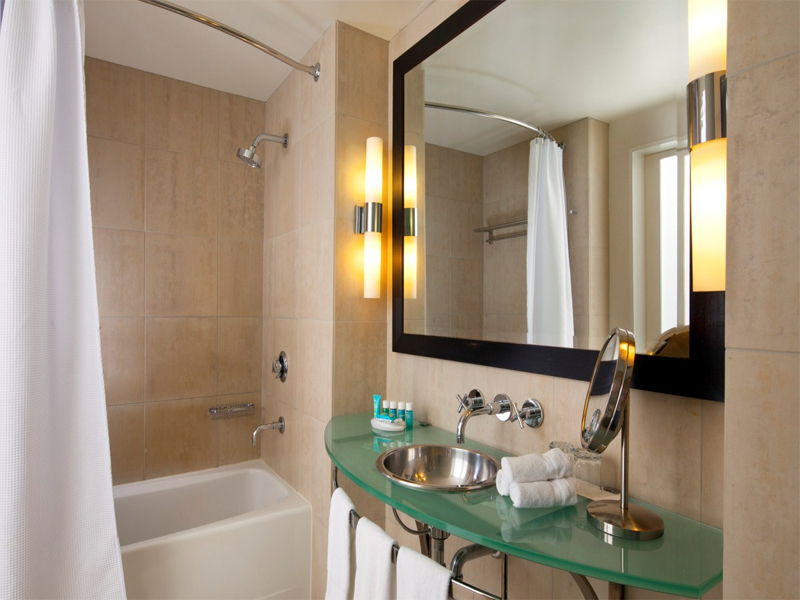 W HOTEL Spectacular King room bathroom – photo does not do this justice. Their W Signature bed was large, but nothing like the comfort for the Intercontinental hotel mattresses. I appreciated the softness of the goose down duvet and the down pillows which were noticeably fluffy and airy. And I loved the remote-control blinds and the window seat with their electric blue padded cushions. I often sat on them staring out the window. Even though the view was nothing spectacular and very urban, it was mesmerising. The desk was not to my homely taste, but it was a really large work area and perfect for my abundance of computers, cameras and papers. The internet cost USD $14.95 per day but I was given free access and it was high speed with no glitches. 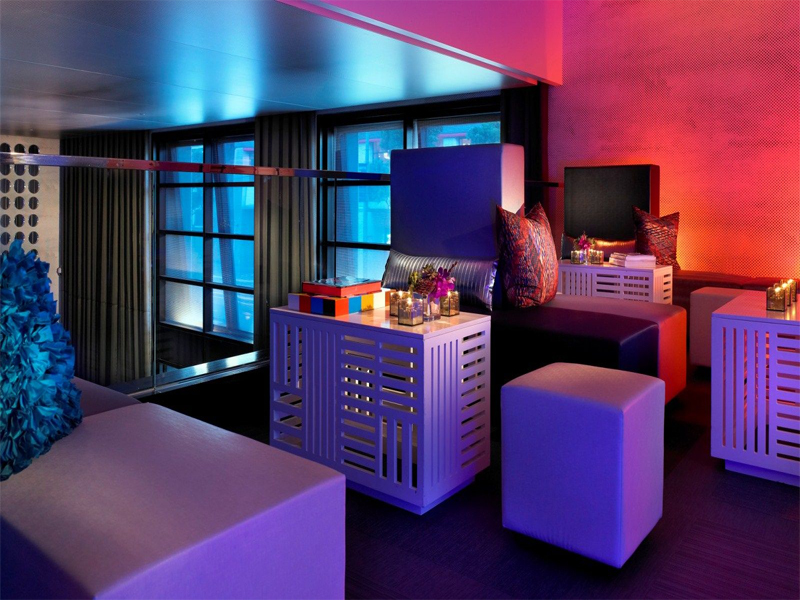 Every hotel has soul and at the W Hotel in San Francisco it is definitely here. Like bees to honey it pulls in the crowd from within the hotel and from the fashion and art conscious locals. 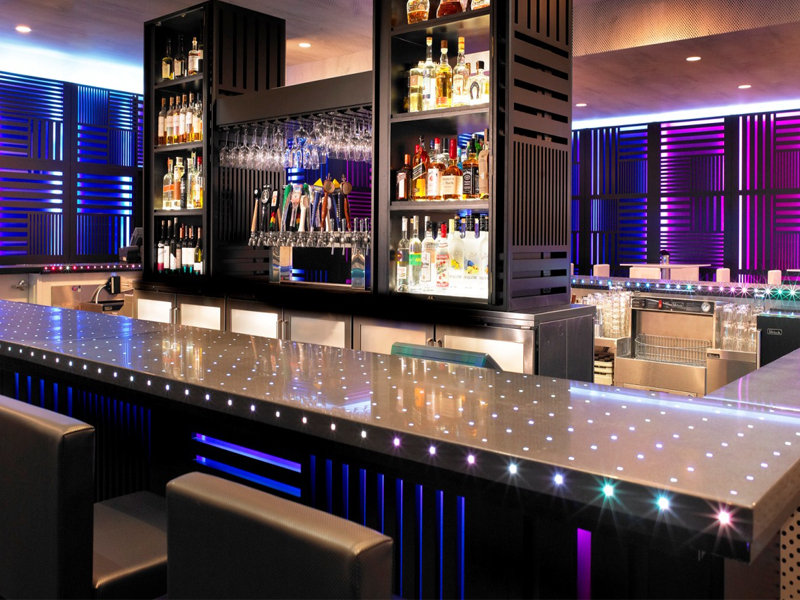 A plethora of LED lights throw splashes of colour everywhere: on the bar, under it and everywhere around it. Flashes of pink and purple. Slatted silhouettes and a theme that ties it to the rest of the ground and first floor balcony behind it. The big fireplace is also a draw card with comfy seating. The Living Room Bar is a hot spot for the chic and social, touting eight locally renown brews and a covey of international flavours too. And if wines and cocktails are your tipple too, then you won’t be disappointed either, especially served by top-notch staff that score a massive goal for being friendly, fun and switched on. They never erred when it came to recommending food or drinks, especially to our hoard of antipodean corporate travellers. Friday night is a bit more frenetic with really great live music and trust me, the place rocks until 1.30am. But if you want to escape the mayhem for a second, go to the Upstairs Bar & Lounge on the first level (or 2nd level if you are American!). At the Upstairs Bar & Lounge you’ll find the same décor as the lobby area with square modular seating and a range of scatter cushions. As you ascend to bar on the semi spiral staircase, check out the hanging light. Ultra-modern and a work of art. Open from 5.00pm to 1.30am (Thursday to Saturday), it is all about local, organic and sustainable offerings. Secret spaces provide a more intimate spot so mingle and talk, with top shelf liquors and eight seasonal signature cocktails crafted to explore molecular gastronomy. 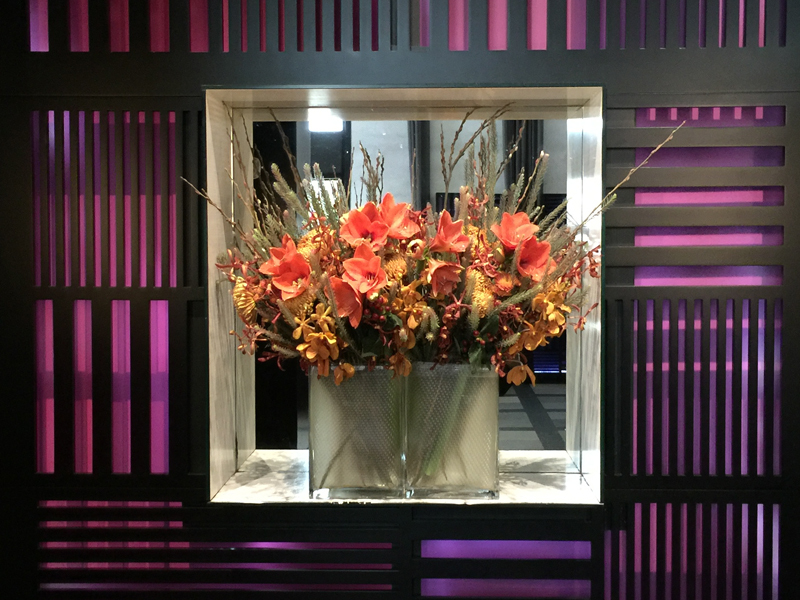 W HOTEL BLISS spa – what the girls love! After a long day of work or play, sweat it out at our restyled FIT® Gym, available to registered hotel guests 24/7. Take your detox even further with a rejuvenating massage or treatment at Bliss® Spa. I have been to Paris over 15 times and I’m use to the British love affair with their dogs, but I didn’t expect this in San Francisco. What a great idea to allow pets in too. Great forward thinking. 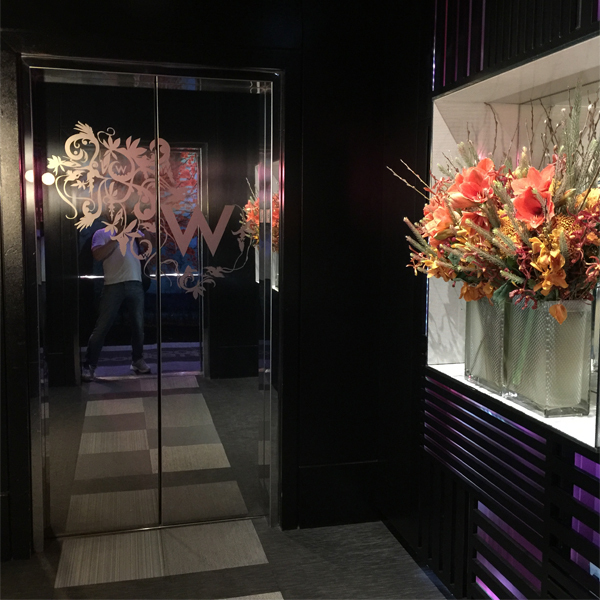 W Hotel has a P.A.W. 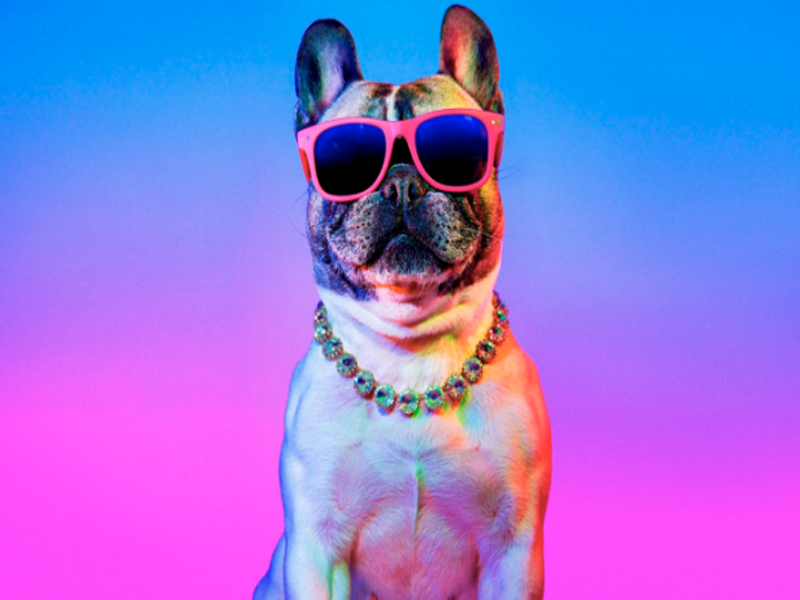 program for all your four-legged furry friends, dog or cat that is, where you’ll receive a custom W Hotels pet bed, food and water bowl, floor mat, pet-in-room door sign, W Hotels pet tag, clean-up bags and much more. There are weight restrictions, up to 40kgs, but that is up to the General Manager’s whim on booking. And they have to be leashed in public areas and kept away from food areas. 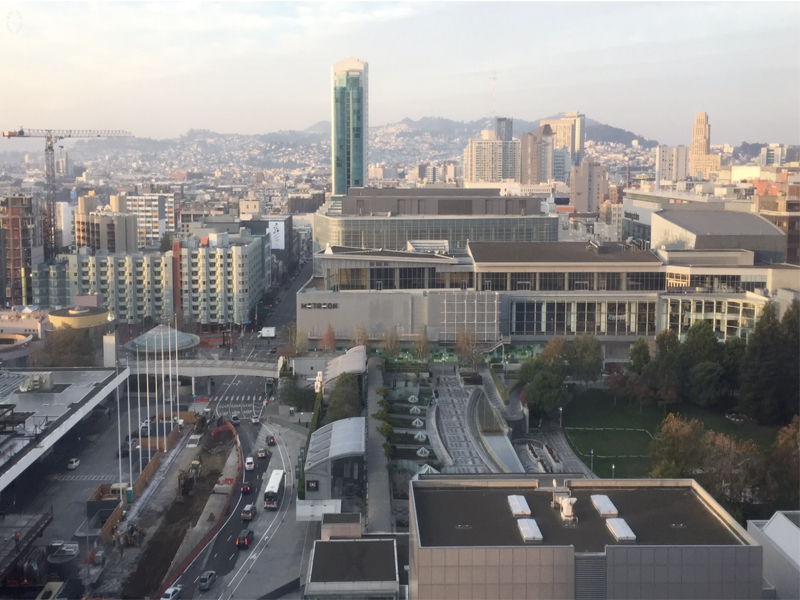 I had great expectations stepping into the W Hotel San Francisco, but I felt the ground and first floors were let down by the upper floors. A bit of an anti-climax that left me wondering if the designer ran out of money after pressing “1” on the elevator. The lower level really is hip and worthy of after-hours drinks. The bar staff were amazingly friendly and switched on. They never erred on a recommendation of food or drinks. Yet the let-down came in my hotel room upstairs. It was very medicinal and airport-like in decor though having nothing wrong with it. It was just better suited to an Ikea-loving crowd or first-homer, than a seasoned traveller and professional. The concept was out of balance and I just didn’t get it. I liked it, but I didn’t love it. But I did have an awesome time there. Oh we hear you! Thank you so much for your honest opinion on our room design; we agree and are happy for our face lift happening very soon. Thank you so much for the shout-out to our amazing bartenders. I myself go to them as well when I need that extra insider tip. 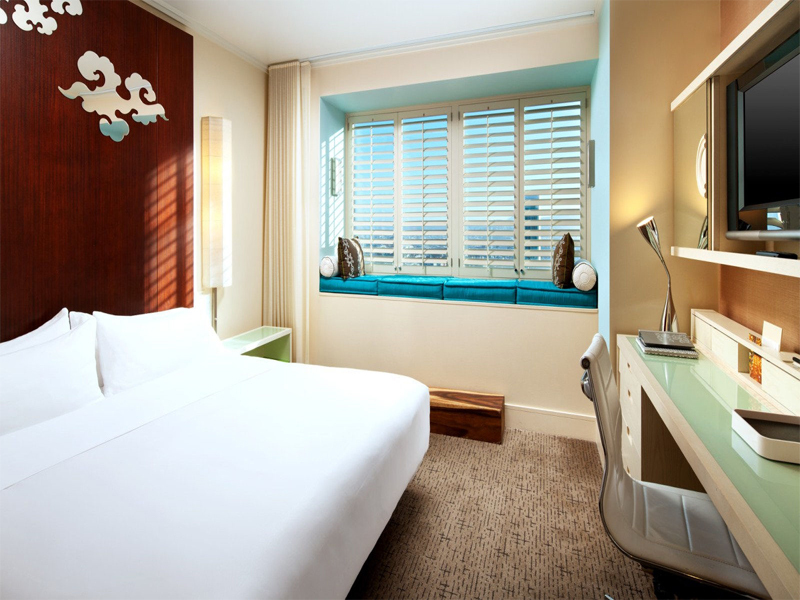 I can’t wait for you to see our new rooms! Feel free to reach out to me personally to chat further on design and our cocktail culture. Stay tuned. 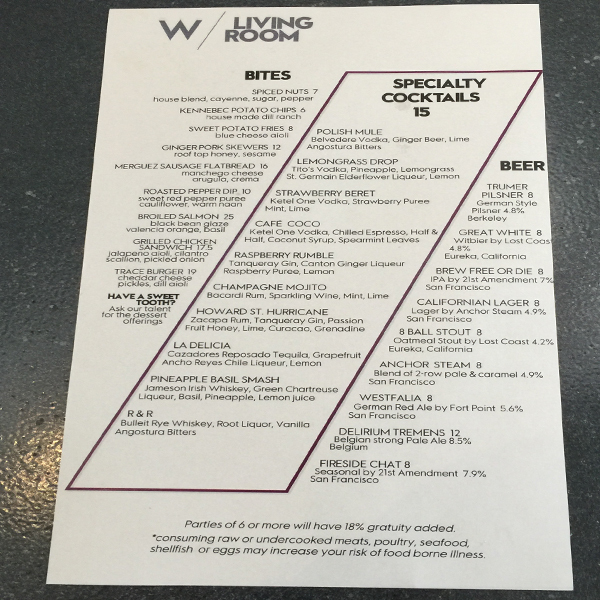 It was my first W Hotel San Francisco experience and I will give W Hotels the benefit of the doubt. I actually can’t wait to try another one. 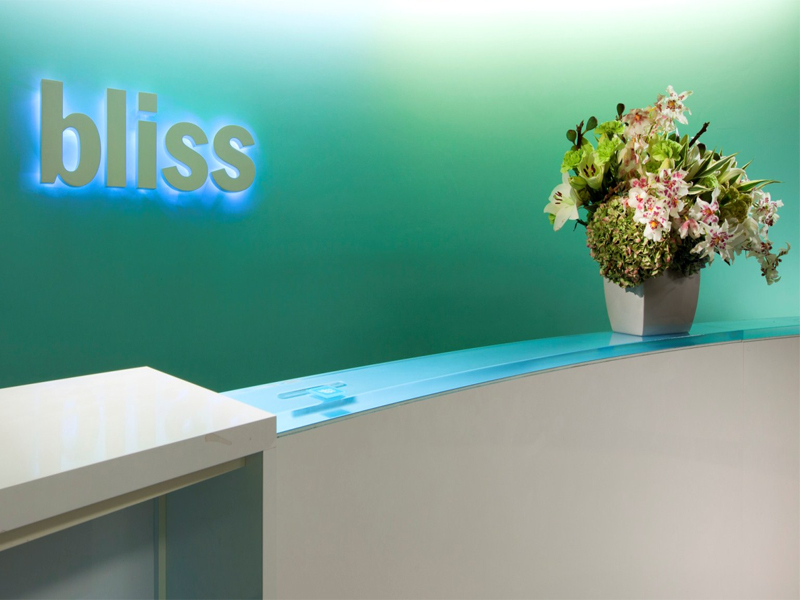 Yet with all good things comes an ominous warning: if I don’t try the Bliss Spa, I will be killed by about 1,000 women who want to know what it’s like! Who is Bliss? And why are they more popular than me?